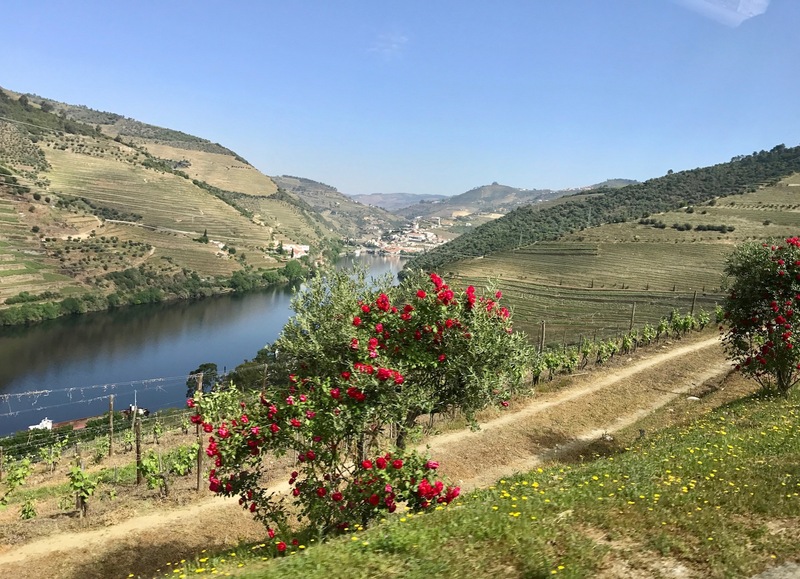 When I asked friends who had recently been to Porto whether they recommended a day trip to the famed Douro Valley for a wine and port tasting tour, the answer was a resounding yes. 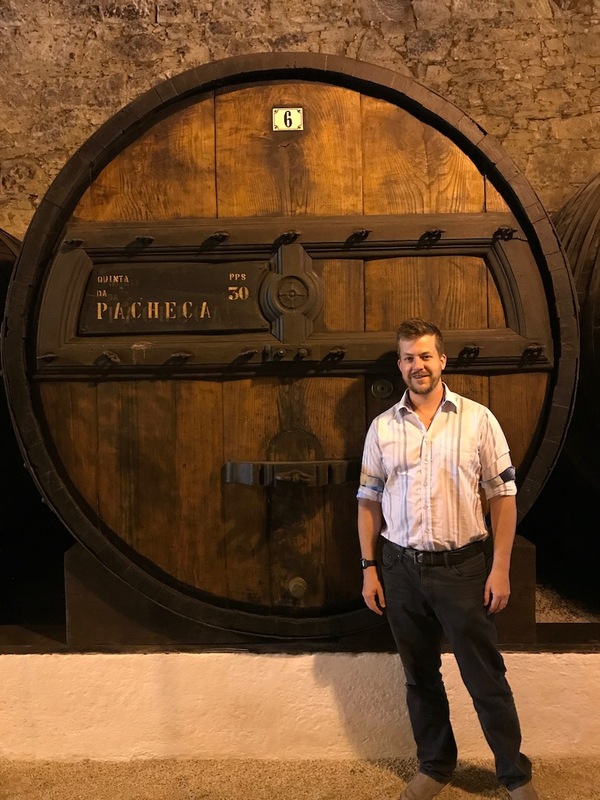 I had seen photos of rolling hills packed with vine-filled terraces, steep slopes ending in the winding Douro river, and sometimes humble and other times grand quintas (wineries) perched high above it all on breezy hilltops – and I was ready to drink it all in. 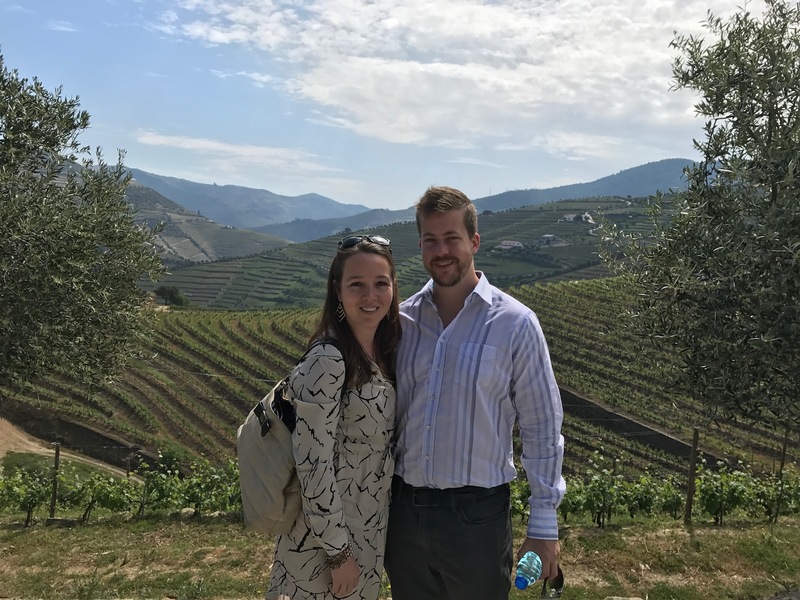 Joe and I booked a full day tour with one of the dozens of companies offering Douro Valley experiences and hoped for the best (we used EFun Tours). We were not disappointed, and ended up having a terrifically fun, fulfilling, educational and delicious day with seven strangers who would quickly become friends. 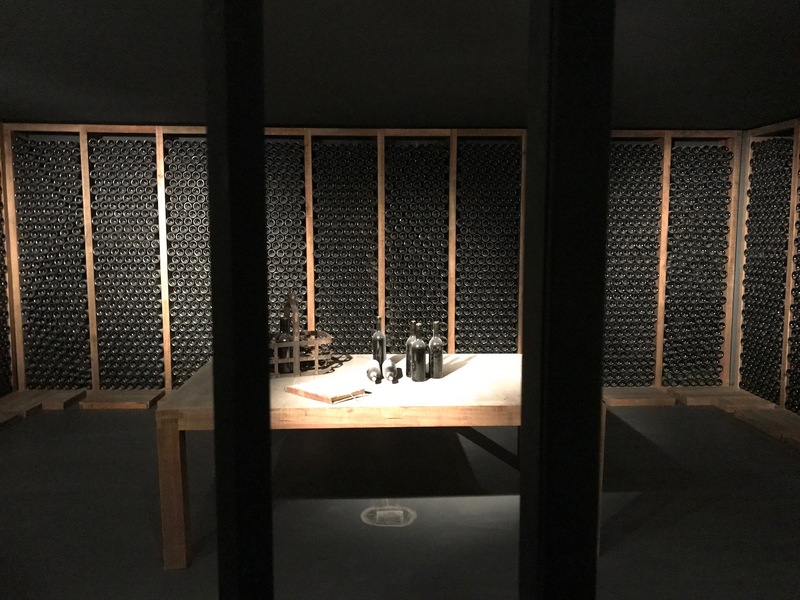 to impress: the dimly-lit passageways connecting all the underground and interior rooms, the 10,000 dusty bottles stacked and stored on their sides in the basement, the expansive 360 degree views on offer. We sipped our port on the front deck while the warm, Douro sun kissed our faces. In stark contrast to the Sandeman experience was our visit to Quinta do Tedo, a small, almost boutique winery owned by the somewhat mysterious “California lady.” Nestled into a small hillside in front of a small, olive tree-flanked lake, this quinta looked more like a comfortable but luxurious Spanish-style hacienda you might find in the Hollywood Hills. Vines on delicate trellises shaded parts of the long, narrow front porch, olive and oleander trees lined the parking lot, and three large, fluffy, Great Pyrenees dogs lounged lazily around the property. 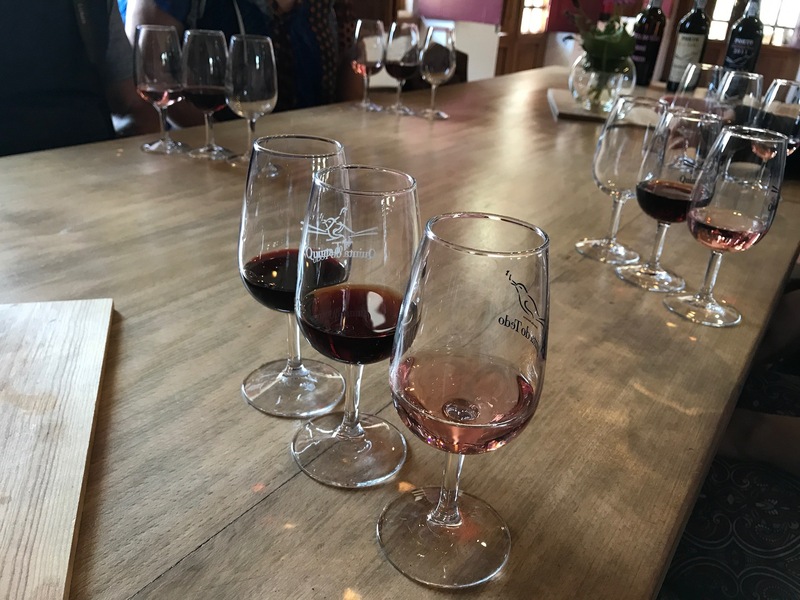 We were guided through our tasting by a young woman who got quite excited while discussing their ports – tawny is her favorite, but she is also a fan of their refreshing “swimming pool” pink port as well. By this time, all eight of us on the tour had bonded and started becoming fast friends (as only sharing the experience of consuming delicious beverages seems able to do), and we stayed chatting and sipping so long that our tour guide had to hustle us on to the final stop on our journey. 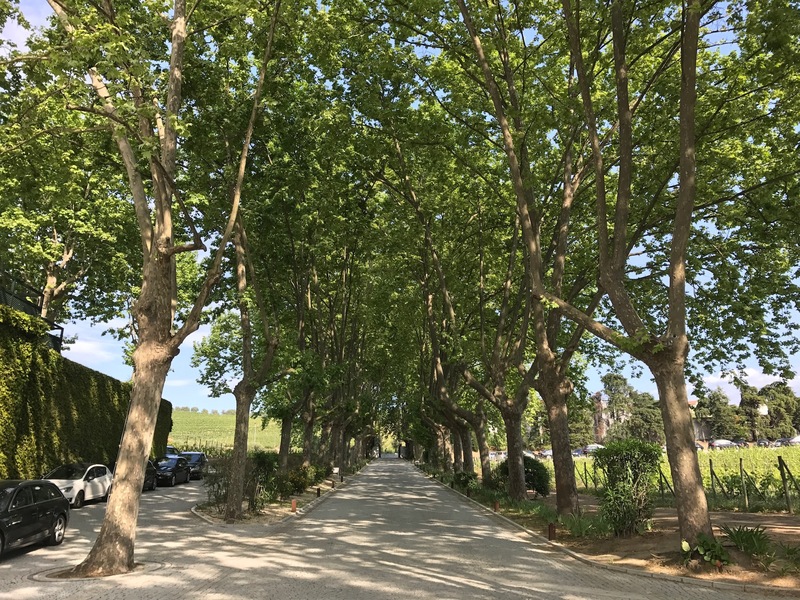 We ended our tour at Quinta da Pacheca, down a long, sycamore-lined drive under a canopy of lofty, leafy trees that filtered the sunlight gently down to our wooden table. 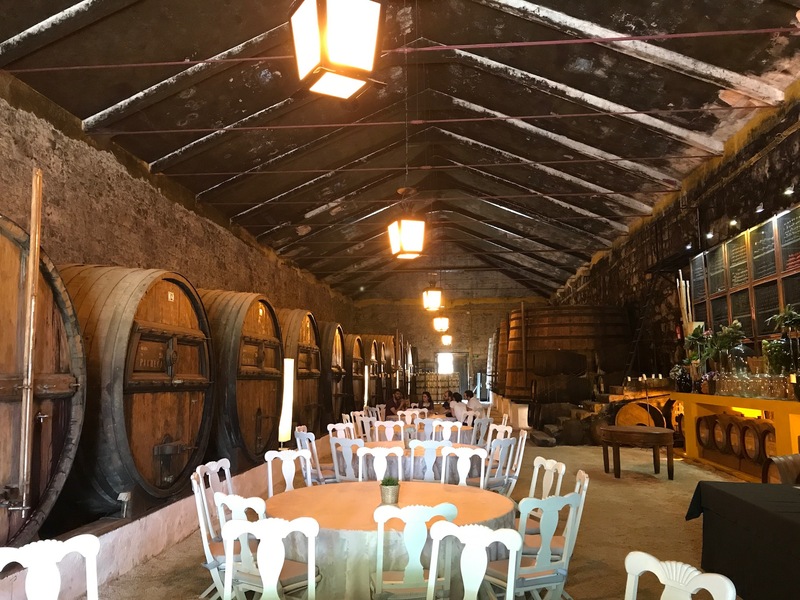 Inside the lofty barrel room, our guide directed us to look up: high above us, the ceiling, once white, was now a sooty, splotchy black – resulting from the slow evaporation, through the porous wood of the barrels, of the port and wine over the years. The entire building exuded a sharp, sour smell which Joe identified as washed rind cheese and I called vinegar – it slightly singed my nose hairs and left me wanting pickles. 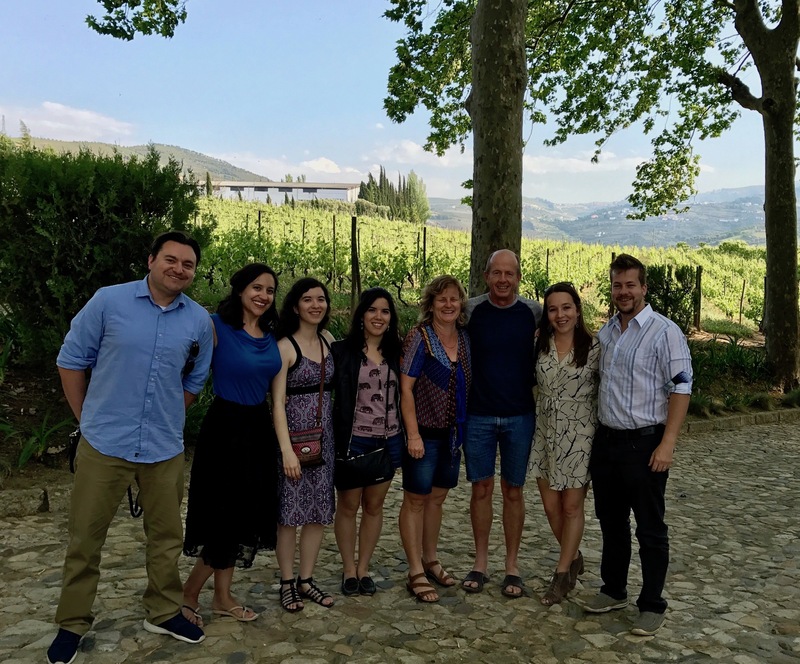 Outside, under the canopy, we tasted two soft ruby ports and two red wines produced by the estate – and by this point, two young ladies on our tour (sisters from San Diego, but currently studying in England) were ready to buy some (read: 12 bottles) of port. 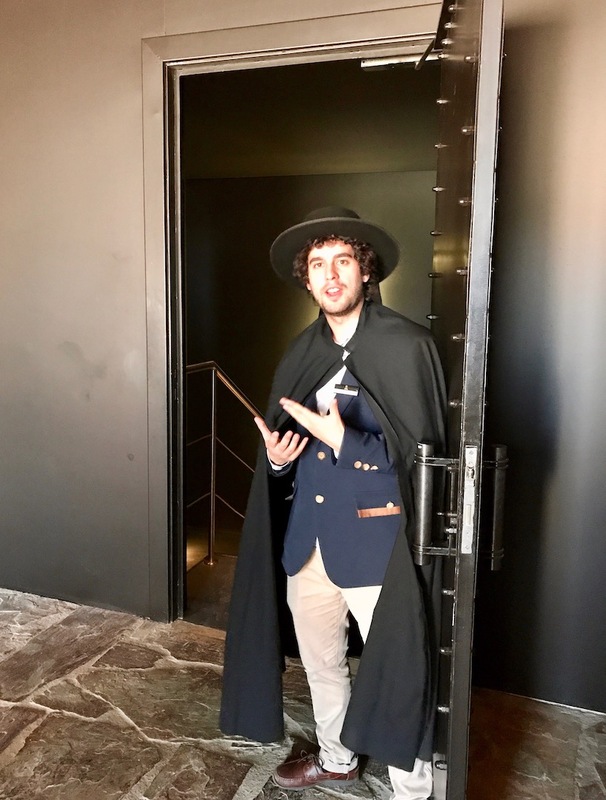 After 30 minutes in the wine shop, tasting and discussing more options with an indulgent, smiling and kind employee, they settled giddily on their loot. We tasted a vintage ruby while waiting, so we were in no mood to complain. Tawnies are blends of different years of port – if you have some 10 year and some 30 year, you combine them to get an average and call it a “20 year” port. Rubies are aged in huge vats (up to 7000 liters!) 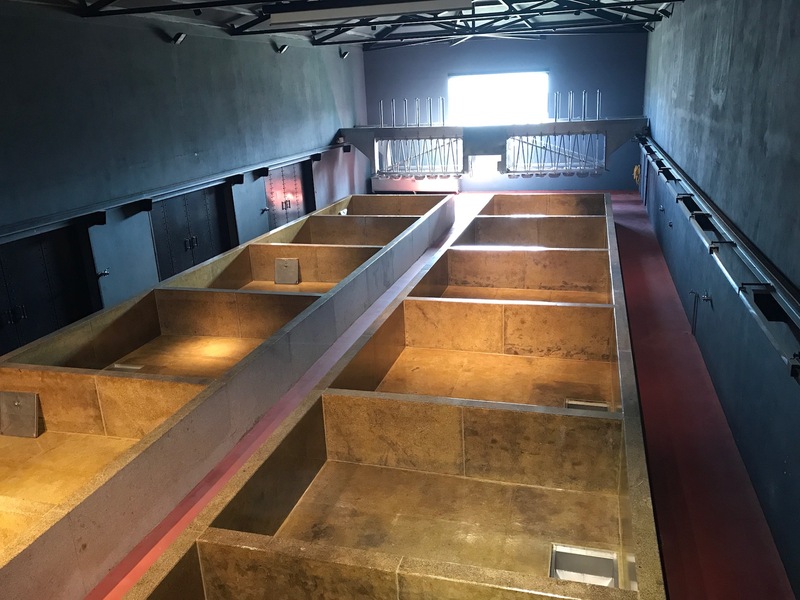 then transferred to bottles after 4-6 years – unless you have a “vintage” year, which means those grapes were so fantastic they only age in vats for 1-2 years and are then bottled to age further – up to 100, or even 200 years!